How much do you know about George Stiebel, the builder of Devon House? Devon House was built in St. Andrew by George Stiebel, Jamaica’s first black millionaire, in 1881. Stiebel was the son of a Jamaican woman and a German Jew. He quit school at 14 and became apprenticed to a carpenter. By 19, he was involved with the reconstruction of the Ferry Inn. With money given to him by his father, George bought a ship in the 1840s and began moving cargo between North and South America, purchasing two more ships to enlarge his business in the West Indies. In 1851, he married Magdalene Baker, the daughter of a Moravian missionary; they had a son and a daughter. In 1856, his ships were destroyed in a storm, but he survived, and since he had put all his money securely in a leather belt, he was able to use it to start a career as a peddler in Venezuela. He began trading gold and ultimately invested in a gold mine. By 1873, the success of his very profitable business was marred by the death of his son, and George returned home to Jamaica, the island’s first black millionaire. After his return, he purchased a large number of properties, which included a cattle pen called Minard in St. Ann, where he built a lavish home that was the family’s favorite vacation spot. In 1881, he commissioned Charles P. Lazarus to build the Devon House Mansion. Stiebel was active in philanthropy and continued his efforts to improve the social and economic conditions in the country. Serving as Custos of St. Andrew, he was instrumental in providing the funding for the Great Exhibition of 1891, which was designed to introduce tourism to the island. Stiebel received the honor of Companion of the Most Distinguished Order (C.M.G.) in recognition of his services to the island from the British Queen Victoria. George Stiebel died in 1896 at age 75. 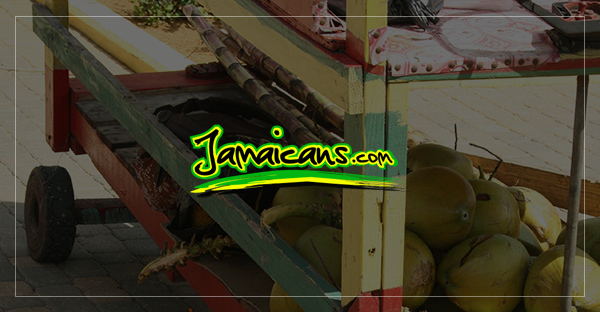 The Jamaican Government bought the property in the 1960s, and it was declared a National Monument in 1990. How Much Do You Know about Jamaica’s First Railway?